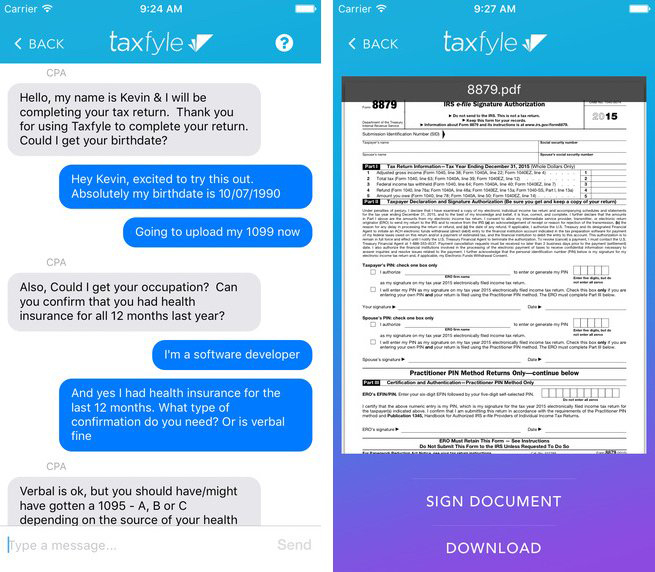 The Uber for taxes. 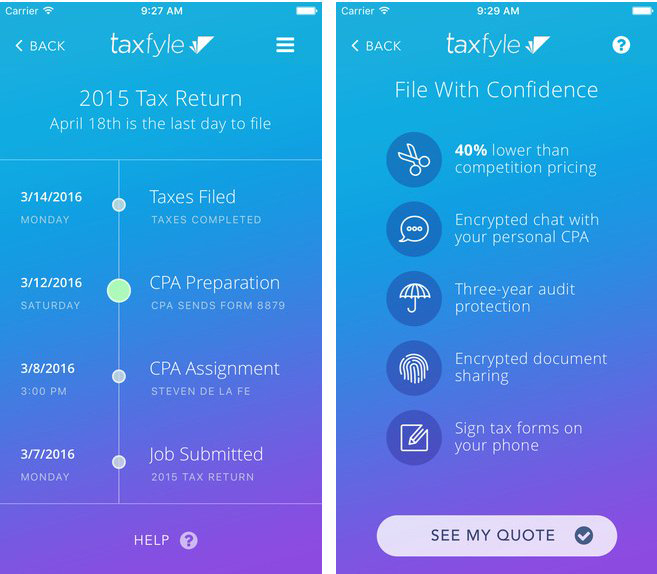 Taxfyle connects you with a CPA who will file your taxes. Upload the necessary documents via its iOS or Android app, chat with your CPA and then let them do the rest. The apps are free, while the service itself starts at $49.